“MERI BAAT” writing on chart papers. 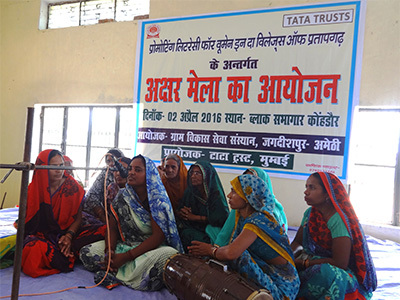 Singing of Literacy Songs by newly literates. Sharing of Changes the literacy bought by newly literates. Skits on literacy by newly literates.